Son of Charles and Caroline Pugh. The life story of Albert Charles Pugh is, like so many of the time, filled with sadness. He was one of two children that were born to Charles Pugh and Caroline Wilkins. 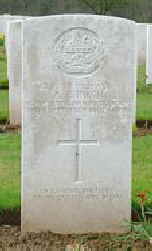 (All Census records show Albert Charles’ father is CHARLES, and not Albert as shown in CWGC records and there is no other record showing him to have the name Albert). Charles Pugh came from Cheltenham are of Gloucestershire and was born there in about 1866. He was shown as a ‘french polisher’ and was the son of a Robert Pugh who was a marble polisher. Caroline Wilkins was born in about 1865 in Cheltenham and was the daughter of Edwin Wilkins who was an ‘engine driver’. Charles and Caroline were married on 7th July 1889 at Cheltenham Parish Church. At the time Caroline was shown to have been living at ‘Glenlee’ while Charles was living at 6 Corpus Street, Cheltenham. Charles and Caroline had two children, Albert Charles who was born in 1889 and Caroline Edith who was born in 1893. Three short years later in 1896, Charles Pugh died and was buried on 6th June 1896. At this time the family were living at 16 Corpus Street, Cheltenham. A little over two years later, Caroline died and was buried on 21st October 1898, leaving Albert Charles and Caroline Pugh orphaned. It seems that by 1901 there had been no option other than for the children to be placed into separate orphanages, male and female. Albert Charles is shown as living at Cheltenham Boys orphanage while his sister Caroline is at a girls orphanage at Hinchcombe, Cheltenham. After Albert Charles Pugh was killed, his effects were conveyed to his sister Caroline who was his sole legatee. A Narrow escape – How a Nelson soldier, Private Albert Pugh, Gloucester Regiment, narrowly escaped death is told by him in latter to friends in the village. Private Pugh resides at Thomas Street and prior to enlisting was employed at the Penallta Colliery. He is now in hospital, recovering from the wounds he mentions in his letter, from which we call the following extracts. 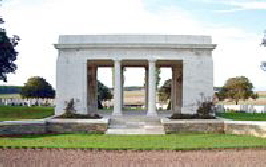 Private A C Pugh, Gloucester regiment has been reported missing in action. Private Pugh was recently wounded, but returned to duty after a short spell in hospital. Prior to enlisting he worked at Penallta Colliery. He was living with Mr & Mrs James Guy, 12 Thomas Street, Nelson.